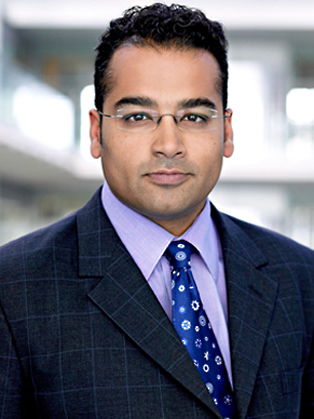 Krishnan Guru-Murthy is a broadcast journalist and a specialist news presenter. He has covered five British general elections and presented a whole host of special political and foreign affairs programmes, such as Unreported World, as well as anchoring ground breaking shows outside the news, including Dispatches’, ‘Going Cold Turkey’, ‘Surgery Live’ and ‘Autopsy’. In 2010 he was nominated as the Presenter of the Year for the Royal Television Society Journalism Awards. Krishnan’s first foray into television reporting came on the youth current affairs show 'Reportage' before he set off for Oxford University to read Philosophy, Politics and Economics. His broadcasting career began in earnest when he presented the BBC2 discussion programme, 'Open to Question', at the age of 18. Krishnan’s film for the short documentary series ‘Newsround Extra’ on environmental pollution in Romania won a British Environment and Media Award. In the last five years, in combination with is role as a news anchor, Krishnan has also enjoyed regular stints presenting a Sunday morning politics show on London radio station LBC and as a columnist for the Metro free newspaper. He continues to appear on a range of entertainment programmes from ‘Never Mind the Buzzcocks’ to ‘The F Word’.